Add up to 30 HP! 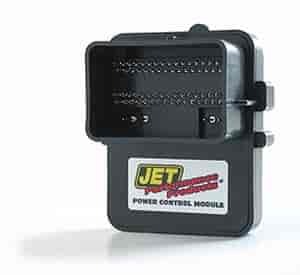 A Jet Performance Control Module is ideal for Ford vehicles because their factory computer does not have a chip that can be easily replaced for performance tuning. To solve the problem, JET developed a plug-in module that attaches to the vehicle's computer externally. JET Ford Modules optimize ignition spark advance, air-to-fuel ratios, and transmission shifting for the ultimate in power and mileage gains. JET's exclusive Dynamic Spectrum Tuning provides optimal performance across the entire power band. Great for towing or SUV applications, all-out street performance, and everyday vehicles. Daily drivers can use cheaper regular fuel to possibly get more mileage but, for best results, midgrade fuel or better is suggested. Compatible with aftermarket intake and exhaust systems, mass air sensors, TBI spacers, etc. Does JET Performance 79907 fit your vehicle?